The Professional Pricing Society (PPS), the world's only professional society dedicated to pricing education and training, is pleased to announce the addition of Lydia DiLiello to its Board of Advisors. 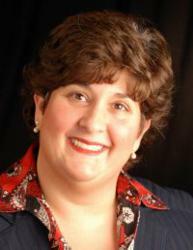 Ms. DiLiello is the Director of Strategic Pricing for Automated Packaging Systems in Cleveland, Ohio. With more than 18 years of pricing experience, Ms. DiLiello is a renowned manufacturing sector pricing expert in the United States, Europe and Asia. Ms. DiLiello began her career in automotive component manufacturing with Delphi Packard Electric and spent 11 years focused on the alignment of pricing strategy and measureable impact to profitability in a variety of pricing and purchasing roles. She has spent the past seven years at a privately held plastic bag on a roll manufacturer, Automated Packaging Systems, Inc., optimizing revenue and profit through value creation. Creating a pricing department, cultivating a positive interdependent relationship with Sales and actively engaging executive management in Pricing strategy and process through Ms. DiLiello’s leadership have enabled APS to achieve double digit profitability lift. Lydia adamantly believes that Pricing is a discipline that requires both art and science to be optimally effective. As an active member of PPS throughout her career, Ms. DiLiello has written several articles on Strategic Pricing issues for the Pricing Advisor journal. She successfully implemented Revenue Management software at both Delphi Packard Electric Systems, a Fortune 500 publicly held company, and at Automated Packaging Systems, her current privately held midmarket firm. Ms. DiLiello is a regular presenter at PPS conferences, participating both in practitioner panels and individual speaking events, including a Pricing Practitioner session titled “The Path to Successful Pricing Software Implementation: Actionable Plans for Successful Pricing Software Implementation” during the PPS 23rd Annual Spring Pricing Conference & Workshops to be held in Chicago on May 8-11. 2012. She holds a BA in English and an MBA from The Youngstown State University. She has completed the 6 required credits and is eligible for her Certified Pricing Professional (CPP) designation. Founded in 1984, the Professional Pricing Society (PPS) serves thousands of members, representing leading industries all over the world. The Society's mission is to nurture a growing community of professionals committed to disseminating pricing expertise throughout the business world. PPS is the only professional organization to offer a pricing certification program, and offers its Certified Pricing Professional (CPP) program via online and live event workshops. Publications distributed to members include an eight-page monthly newsletter and a 36-page quarterly journal. Further, the PPS website (http://www.pricingsociety.com) is a central resource for state-of-the-art pricing knowledge and hosts a job site where professionals can post or review new opportunities in the industry. PPS also maintains a Pricing Blog at and a Pricing Group on LinkedIn. PPS has also created a Linkedin Group focused in Asia-Pacific aimed to support the growth of the pricing profession in that thriving region of the world.